October 18, 2018 lowpricebooks 321925122, Mathematics, Robert A. Donnelly Jr.
321925122 – Business Statistics (2nd Edition) by Robert A. Donnelly Jr.
/ISBN-13: 9780133865004. That package includes ISBN-10: 032192147X/ISBN-13: 9780321921475 and ISBN-10: 0321925122/ISBN-13: 9780321925121 and ISBN-10: 0321929713/ISBN-13: 9780321929716. MyStatLab is not a self-paced technology and should only be purchased when required by an instructor. 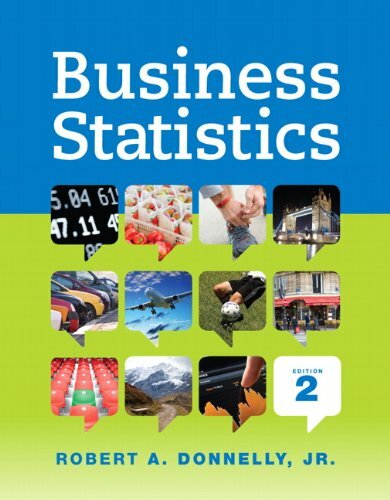 Robert Donnelly’s Business Statistics eliminates the intimidation factor from learning statistics for business. The Second Edition maintains Donnelly’s successful straightforward, conversational approach that explains each concept and why it is important directly to students. Through an abundance of comments that clarify specific topics, a variety of applications, and Your Turn practice throughout each chapter, students see business statistics in action–both in the classroom and in the world around them. Author: Robert A. Donnelly Jr.